This is a great project for scrap yarn. As you will know by now I aim to use all my scraps for a good purpose. The scarf can be made in every width or length you like, depending on how much yarn you have. It is possible to make the scarf in all kinds of materials, the one above is in cotton linen mix and the one below is in pure wool. The tuquoise scarf has garter st edgings, but if you want it more open, like the beige one, make it with double edge stitches instead. 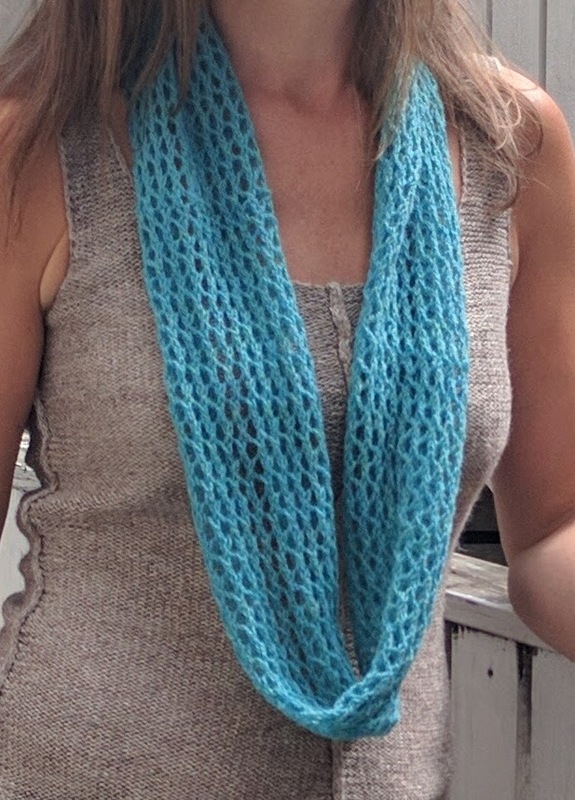 I have made the turquoise scarf without a twist, but if you want an infinity scarf, like the beige one, you just twist it once before you kitchener it together.